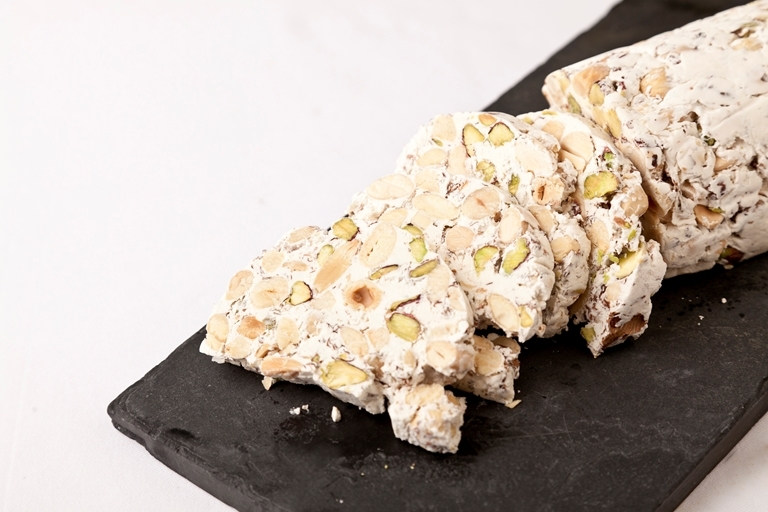 This 'white' nougat originates from Italy in 15th century and has become a staple petit four. Note that most of the steps in this classic nougat recipe from Pascal Aussignac, need to be carried out simultaneously, so it may be best to tackle the recipe with a sous! If you don't have a cylinder mould, form the nougat into a long sausage shape and wrap in baking paper to set.